A common upgrade among tuners and track enthusiasts alike is a front strut bar. A strut bar mounts between opposing strut towers and reduces the flex that these towers experience during hard cornering. Reducing the flex will keep the wheels in position keeping the tires in the desired position on the road. This will help to improve traction on the turns, increasing turn-in response. A front strut bar will help to reduce under steer and a bar in the rear will help to reduce over steer. 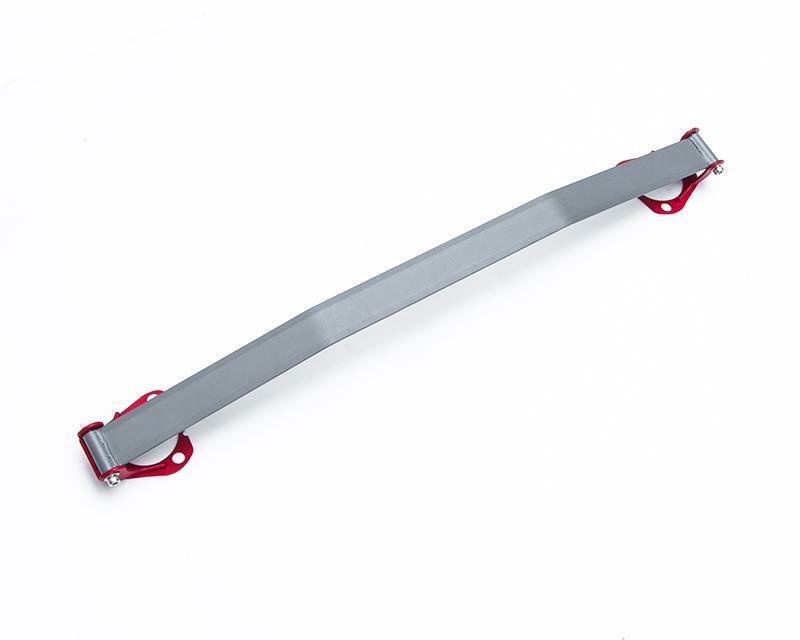 We have designed our strut bar to not only look good, but function as well. The Agency Power front strut bar provides just enough flex, without compromising stability.